Please join us for a day of discussion on the latest developments in neuroendocrine tumor (NET) research and treatment. Topics will range from discovery and diagnosis through treatment and living with cancer and feature experts from around the world. Open to both patients, caregivers and those interested in NETs. During the month of October, Josh Mailman, President of NorCal CarciNet Community made two trips to Washington D.C. on behalf of the NET Community. 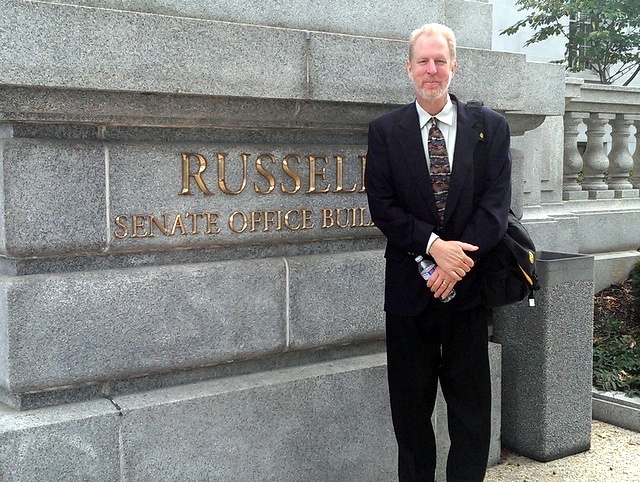 During his first trip of the month Josh attended the Society of Nuclear Medicine and Molecular Imaging (SNMMI) Patient Advocate Advisory meeting which he chairs. On Sunday June 9th, 2013 the Society of Nuclear Medicine and Molecular Imaging Patient Advocacy Advisory Board (PAAB) held a patient education day at their annual meeting. The patient program is designed for patient and those who support them as well as the general public to learn more about molecular imaging and treatments. The day included a special NETs breakout in the afternoon covering specific imaging and treatments available for those with NETS delivered by international experts. NorCal CarciNet's Josh Mailman is the current chair of the PAAB and gave a keynote address at the conference. We have linked the Agenda below to the online presentation. We hope you find the information useful. Read more: Presentations from Society of Nuclear Medicine Patient Education Day. To Download presentations from this event please click here. In response to the Department of Engery's request for comments on the consideration of withdrawl from the commercial production of Germanium-68, NorCal CarciNet's board submitted the following on behalf the support group. To submit your own comments please visit the Federal Register website. Comment period ends April 30, 2013. UPDATE: April 2, 2014. The Department has concluded that it will not withdraw from the market for Ge-68 for the manufacture of generators, however, because it has determined that there are no suppliers of bulk Ge-68 qualified for use in Ge-68/Ga-68 generators. To read the final rulling please click here.